I purchased this book because I was looking for a reference for growing grapes. 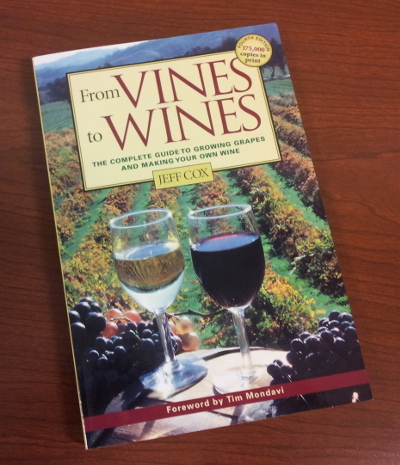 Jeff Cox has written a comprehensive analysis of of growing grapes and producing wine. The book met all my requirements and provided even more information. I’m not an expert–I’ve managed only a few vines in the past. 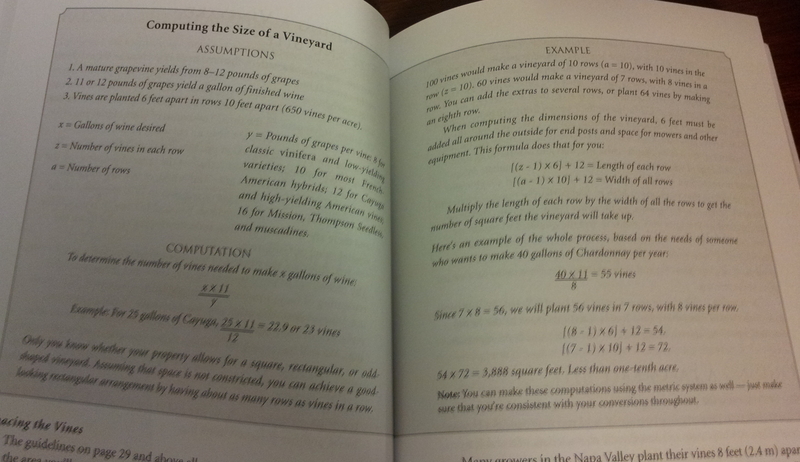 I need a book like this to have a chance of success with my vineyard. The illustrations are very good. For example, there’s a picture of the “geneva double curtain” trellis that clears up some questions I had. Jeff does a really good job of showing you how to calculate how much room you’ll need to grow grapes, outputs and more. I do think his numbers are optimistic for some parts of the country. I’ll be very happy if my vineyard averages 8 lbs per vine. If it does, it will probably be the high number. Jeff estimates 8-11 lbs. That would be glorious! There’s a lot more to tell about this book. There’s history and science and you can tell that the subject is the author’s passion. I rank this book as a “must have” for my shelf. Part of the ranking is my lack of expertise in the subject. Vines to Wines is what I was looking for and more. I bought this book at Barnes & Noble. You can find it at a better price point at Amazon. This entry was posted in Plants, Shrubs and Trees, Uncategorized by admin. Bookmark the permalink.